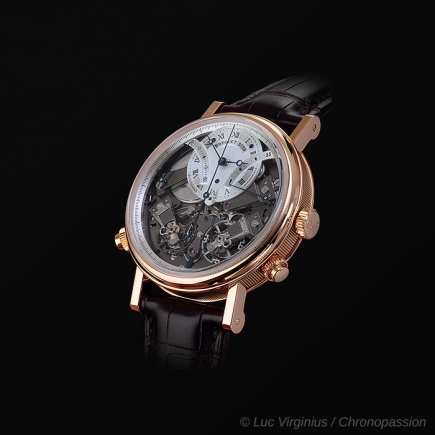 breguet | 32'700 € Tax inc. 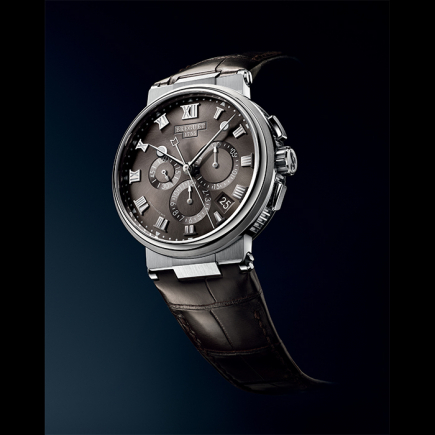 The Breguet Tradition watch collection embodies the essence of Breguet for each model. 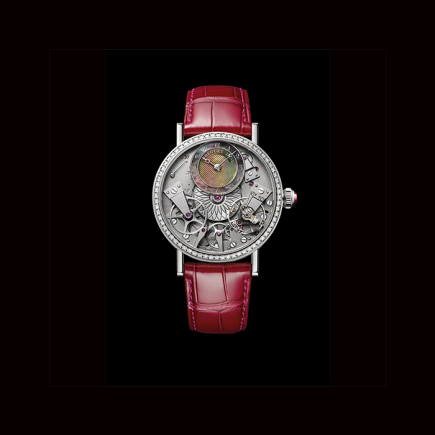 As its name suggests, this is a tradition of centuries-old fine watchmaking, from its case to its bridges, from its escapement to its bracelet and hands. Each of these elements has been worked at the price of a tradition respected in every detail. 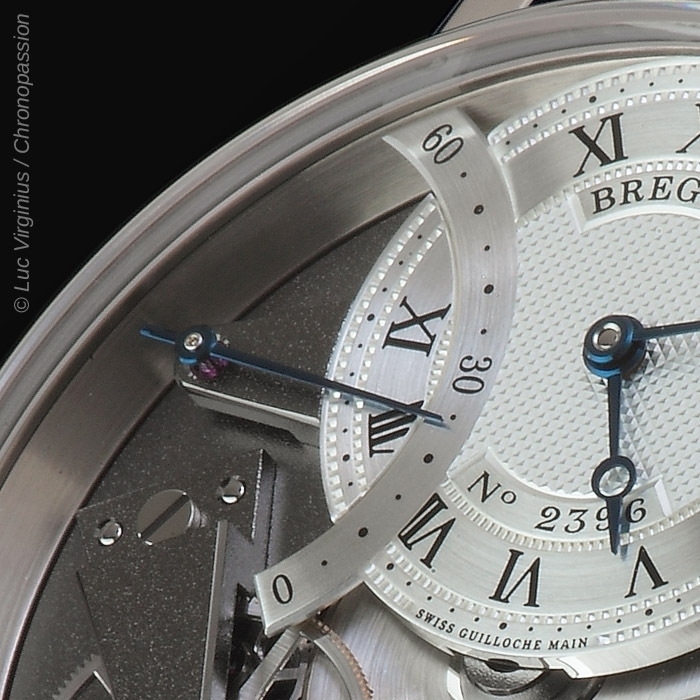 The case of the Breguet Tradition collection, as for any Breguet watch case, without distinction of the collection, is fluted. 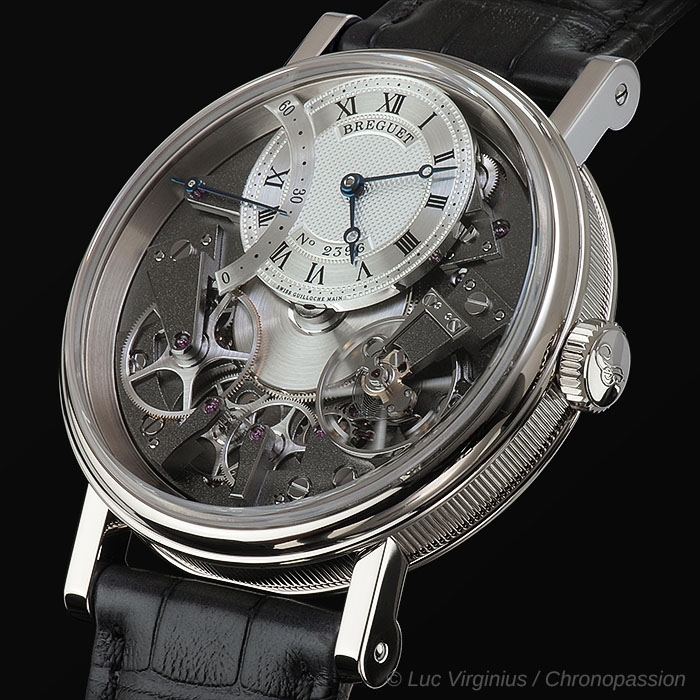 It is a distinctive sign of the Breguet watch since Abraham Louis Breguet himself, of the time of his watches in subscription, of his tactful watches or of the great tradition of the tourbillon that he instituted from 1801. 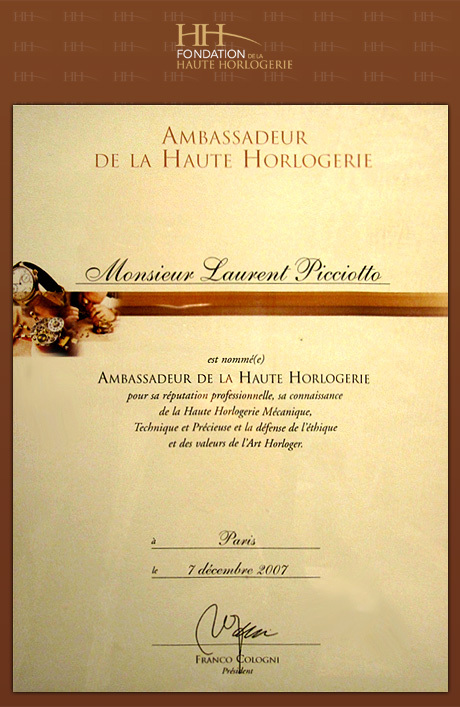 Today, this is a Breguet feature that has been added to the collection and is valid for each model of wristwatch. 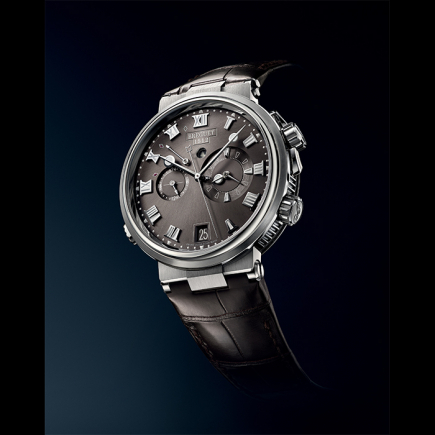 The movement of the Breguet Tradition Seconde Retrograde wristwatch, on the other hand, has evolved considerably since the basic calibre of Breguet's subscription watches and its touch watches. 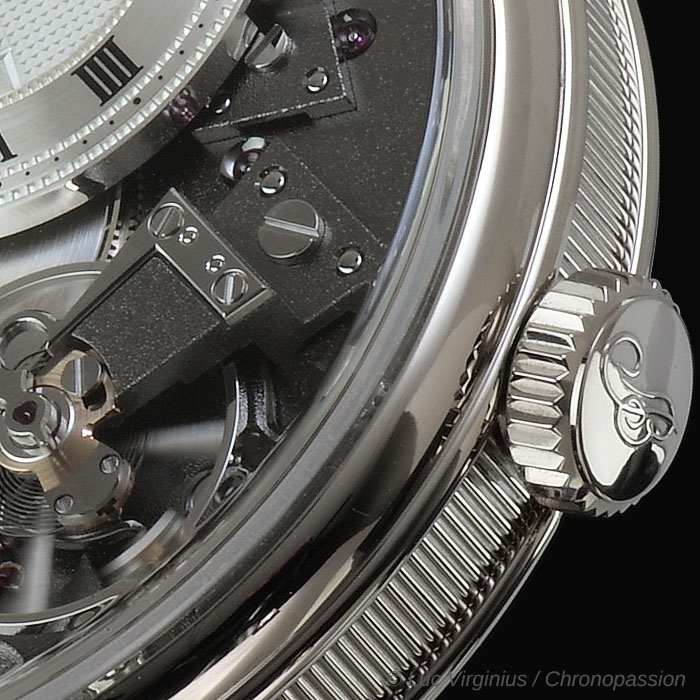 In this 21st century calibre, such as that of the Breguet Tradition Seconde Retrograde wristwatch, the spiral (known as the Breguet spiral) is made of silicon. Unknown for the time it takes to subscribe to tact watches, this silicon spiral model guarantees watches equipped with it better precision and an escapement insensitive to magnetic fields. 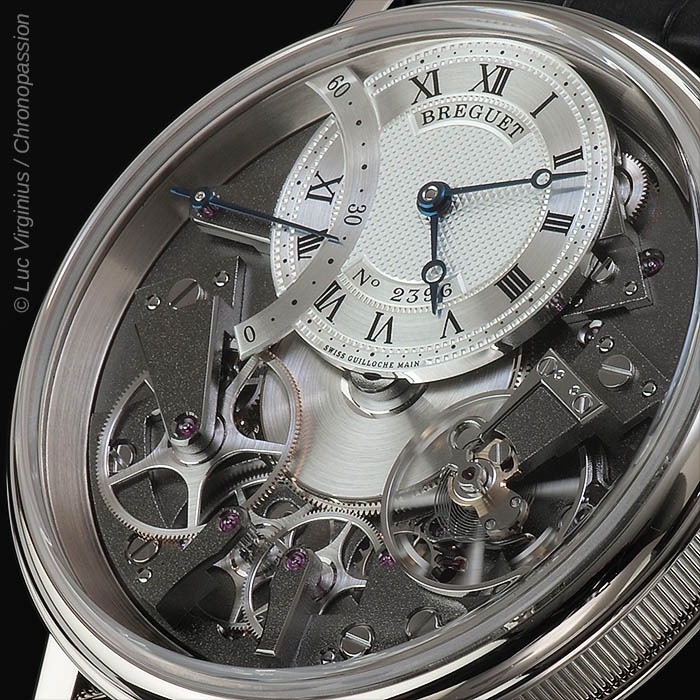 Visible between the bridges of the Breguet Tradition Seconde Retrograde wristwatch, this silicon balance spring brings to the Tradition collection the benefits of modernity in a case that has not changed. 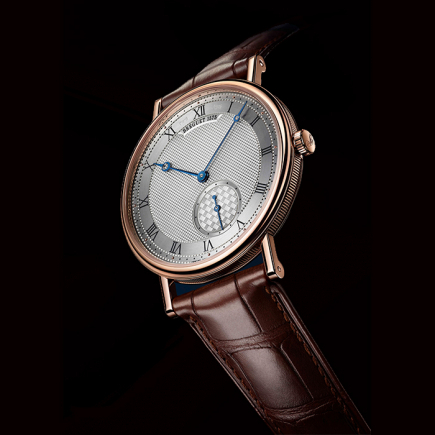 The construction of the movement, bridges, plate and the absence of a complete dial on this Breguet Tradition Seconde Retrograde wristwatch model, on the other hand, are very close to the original spirit of Abraham Louis Breguet and his period watches. 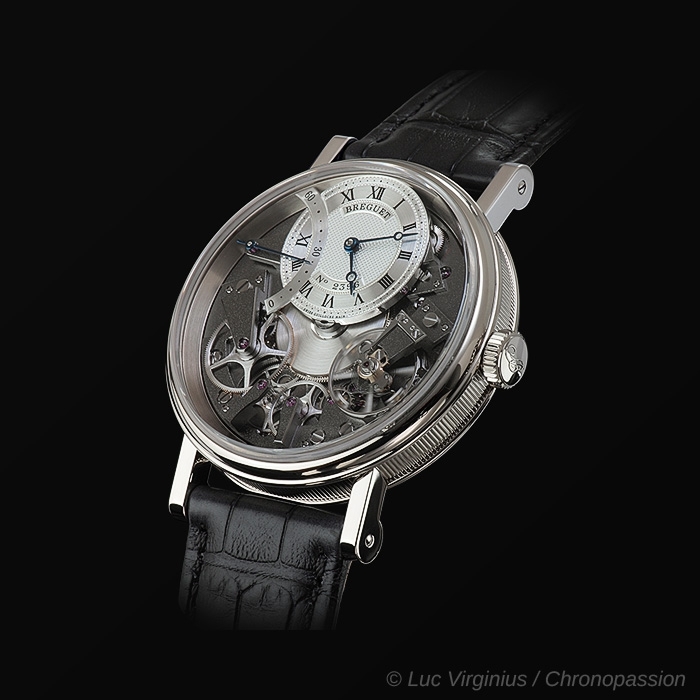 The Breguet manufactory, at the cost of numerous aesthetic and technical developments, has managed to preserve the spirit of the founding Breguet and transpose them into a model or a complete collection (such as Tradition). 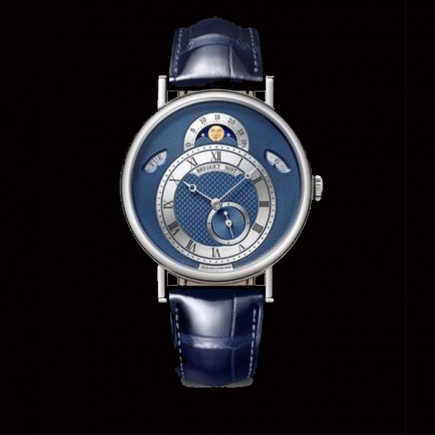 This Breguet Tradition Seconde Retrograde wristwatch is no exception. 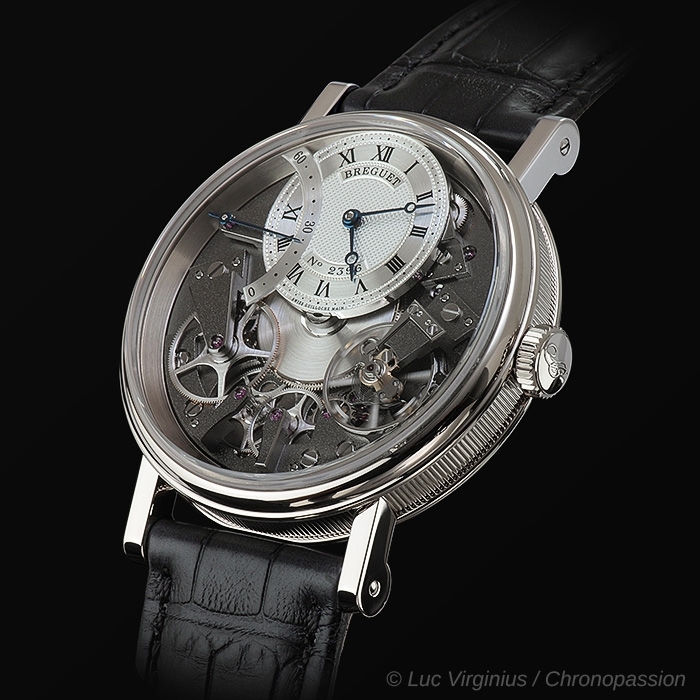 It stands out for the very traditional construction of its movement, its case while including a complication rare for Breguet, the second retrograde. Visible on the dial - or rather the movement - between 9 am and 11 am, it gives this watch model from the Tradition collection a modern animation, which brings the dial and calibre to life, just like the escapement with silicon spiral. 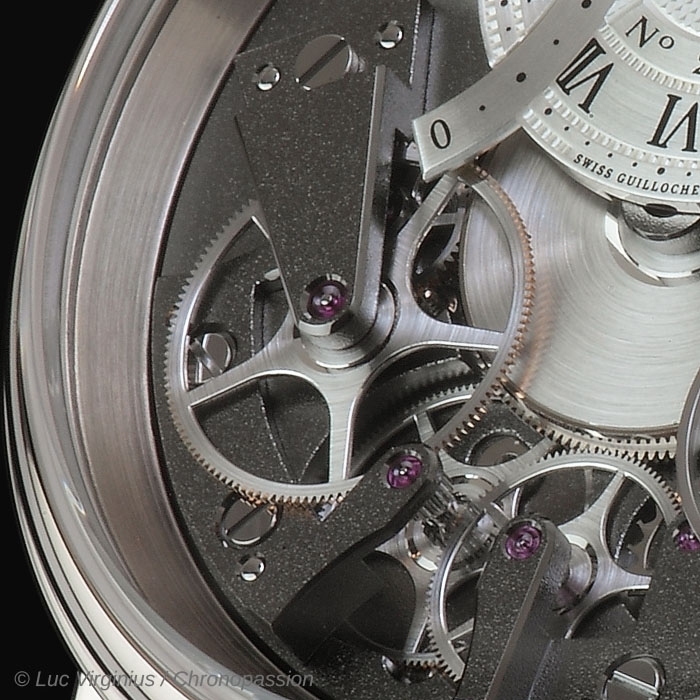 At noon, we find the time dial, quite distinct from the construction of the movement and the bridges that surround it. 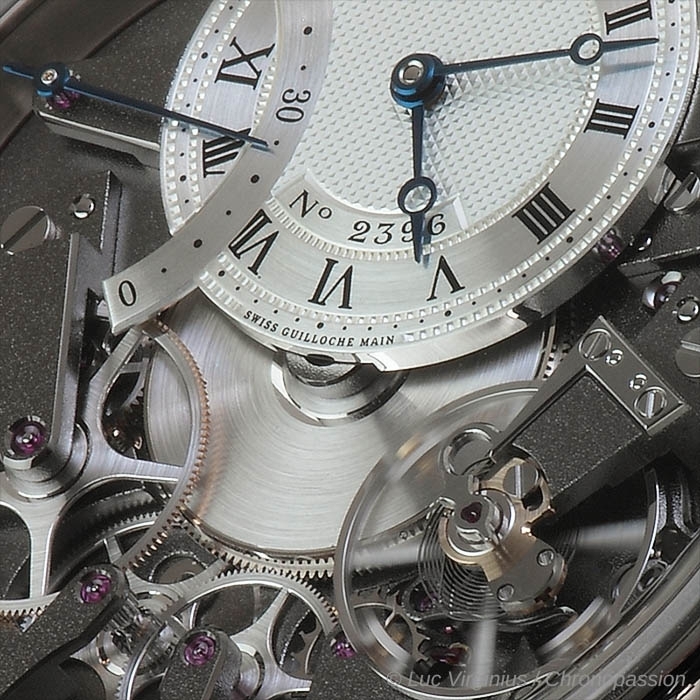 It is flown over by two hollowed-out apple hands, called Breguet hands and made in the purest Breguet tradition in blued steel. 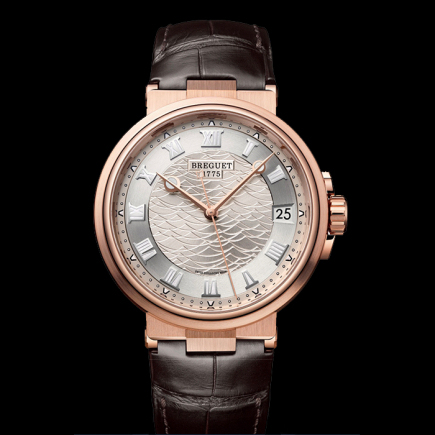 This dial, in the pure Breguet tradition, is made of gold and guilloché. 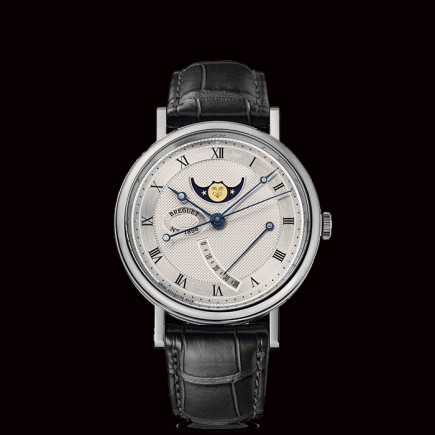 This guilloché was already present in Abraham Louis Breguet's period watches - watches for subscription or tact watches. The Breguet manufactory continues this tradition but has developed, alongside the historical guilloché, a contemporary guilloché model for each of the collection watches. 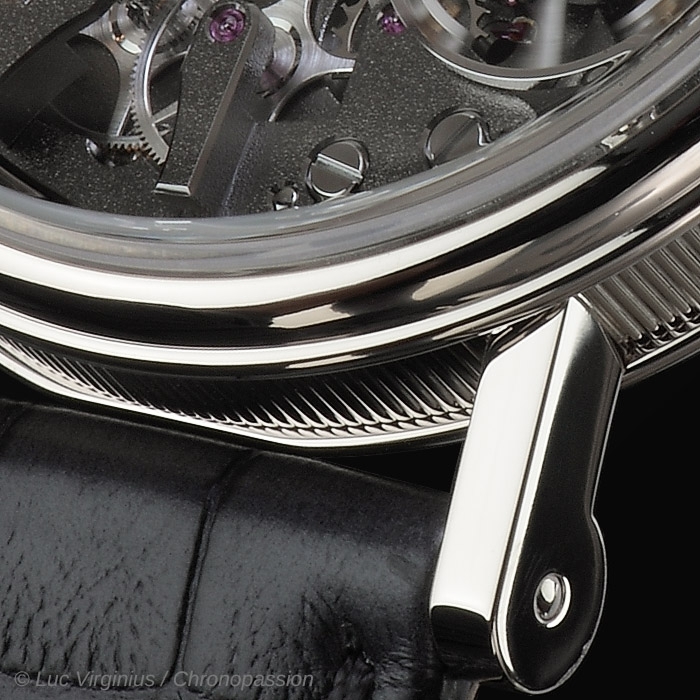 Each guilloché is placed on the dial of the watches in such a way as to optimize their readability, at the cost of a very sophisticated aesthetic research, placing each guilloché on the movement, dial, case, bridges or plate according to the desired result. 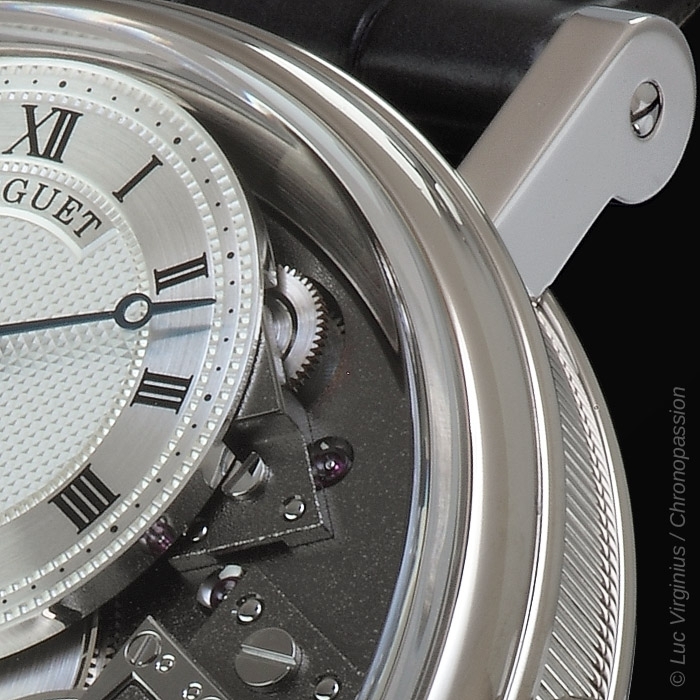 The diversity of this guilloché on each Breguet watch also has an impact on the final price of the watch. 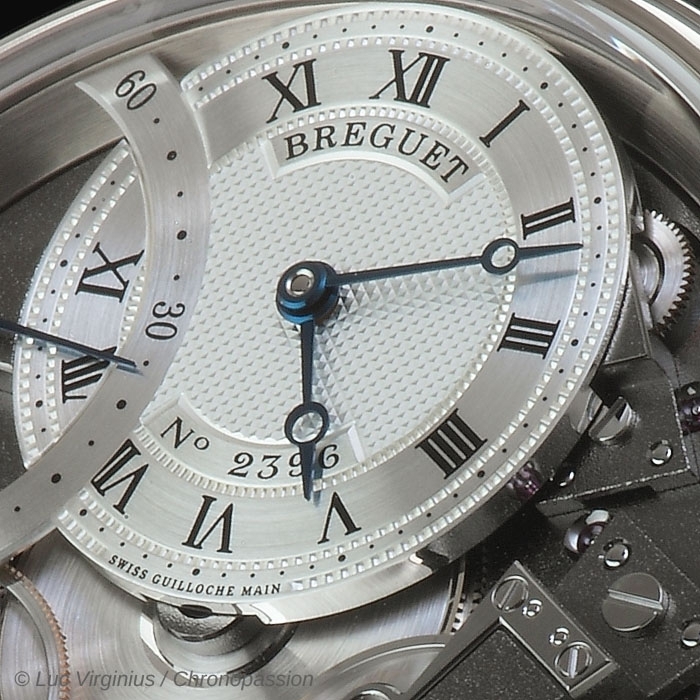 In the case of the Breguet Tradition Seconde Retrograde wristwatch, the segment of this retrograde second is not guilloché but differs from the dial by a circular satin finish that is frequently found in watches in the Tradition collection.